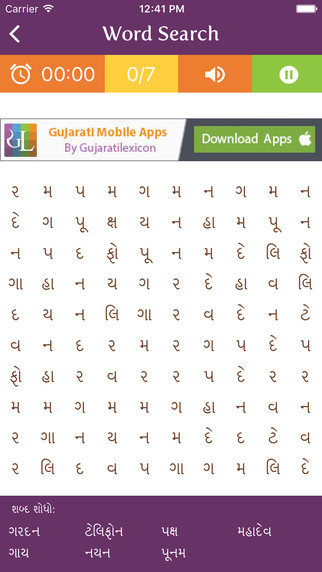 Gujarati Word Puzzle is an easy and fun game to improve the Gujarati vocabulary. 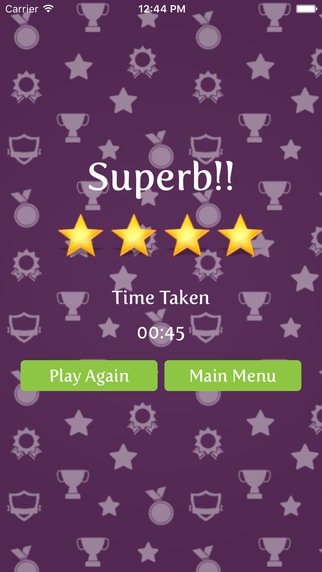 It is based on the simple principle of finding hidden words from a grid of multiple characters. 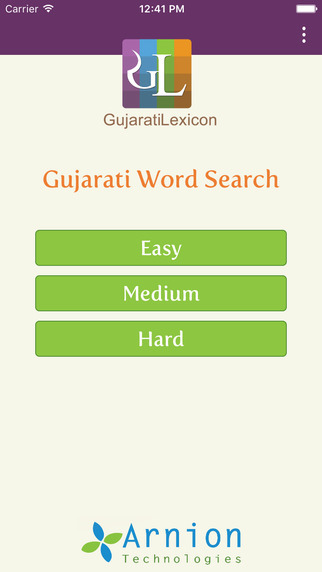 As you find the hidden words in Gujarati Word Search Game, your vocabulary enhances and your Gujarati Lexicon improves. So what are you waiting for? 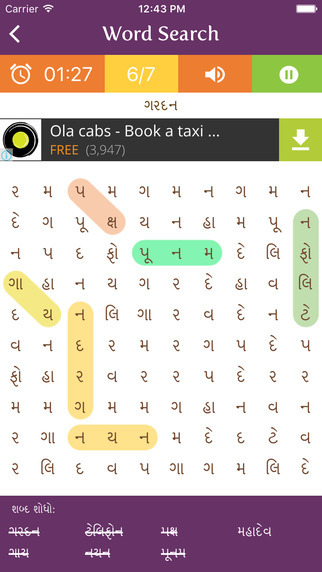 Play Classic Word Search Puzzle which will test, mystify, and enhance your Gujarati vocabulary skills. 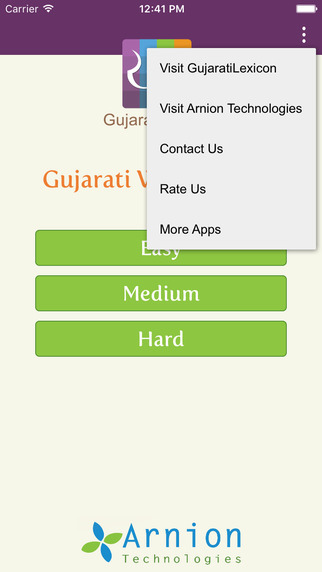 App is designed, developed and maintained by GujaratiLexicon and Arnion Technologies.